Charcoal has been used throughout history for its unique purification properties. Use of charcoal in personal care dates back to ancient times (1500 BC), where it was used to treat wounds and combat infection. Premier Baobab Powder is the dehydrated powder obtained from the fruit of Baobab, Adansonia digitata. It is known for its use in African traditional medicine as a febrifuge, analgesic and anti-diarrheal, and more recently for its high content of vitamin C. The vitamin C content of Baobab fruit is approximately six times more than the content of an orange. Premier Binchotan White Charcoal Powder is a traditionally Japanese charcoal that is completely different from typical black charcoal. The starting material is ubame oak (Quercus phillyraeoides), a tree possessing great strength and hardness. Rubus fruticosus, or European Blackberry, is a hardy plant with very sharp prickles. It is widely cultivated for its luscious, edible fruit often used for producing desserts, jams, jellies and wines. For many products, only the juice of the blackberry is needed. As a by-product of the juicing process, the tiny, round seeds are left behind. Premier Blue Matcha Powder BC is a powder comprised of the dried flowers of the plant Clitoria ternatea flowers, also known as Butterfly Pea. In traditional Chinese and Ayurvedic medicine, For centuries, Blue Matcha has been consumed in herbal tea drinks and used in other culinary applications, not only to impart a wonderful blue color. Many other vegetables contain sulforaphane, broccoli has the highest naturally-occurring levels, particularly in its sprouts and seeds. The seeds make an excellent natural exfoliant. Sugar Cane Extract is an excellent addition to formulas in need of a natural moisturizing and soothing benefit. Premier Carrot Powder is the orange powder derived from the root of Daucus Carota Sativa. It is known for its medicinal and cosmeceutical value in Indian traditional medicine. Daucus carota has one of the highest levels of natural ß-carotene, a precursor of Vitamin A (retinol), and also contains Vitamin C.
Premier Chia Seeds are an beautiful natural exfoliant. For centuries this tiny little seed was used as a staple food by the Indians of the southwest and Mexico. Known as the running food, its use as a high-energy endurance food has been recorded as far back as the ancient Aztecs. Premier Cocoa Powder is obtained from dried, shelled cocoa beans by pulverizing and sifting the “cake” that remains after most of the cocoa butter is pressed from the chocolate liquor. Cocoa powder contains 10 – 14% fat, mostly in the form of cocoa butter. Coconut Shell Powder provides gentle, natural exfoliation when incorporated into facial and body scrubs, cleansers and soap formulations. It is especially well suited for tropical themed products and products intended for delicate exfoliation. Cranberry Seeds are crimson colored, small seeds perfect as a natural exfoliant for your cleansing product or scrub. Eucalyptus Leaves come from the native Eucalyptus Globulus plant. The leathery blue-green leaves contain a fragrant, volatile oil. Fig Powder is an excellent dried fruit powder with the characteristically sweet fig scent. Flaxseed Powder comes from the seeds of the flax plant (Linum usitatissimum, L.). Flaxseed Powder is a natural exfoliant rich in both Omega-3 and Omega-6 fatty acids, which are Essential Fatty Acids. Ginger Powder is an invigorating natural exfoliant addition to any formulation. Grape Seeds are one of the highest known sources of linoleic acid (62-75% Omega-6), one of the two fatty acids that are essential to human life that are produced only in the plant kingdom. This fatty acid is essential to normal cell renewal and has been reported to promote healthier looking skin, protect and strengthen skin firmness and reduce eczema problems. Premier Grapefruit Granules are the brown, yellow, orange granules refined from the fruit peel of the grapefruit, Citrus grandis. These granules are appropriate for use in skin-refining personal care formulations that gently exfoliate and remove dead skin cells, leaving the skin soft, smooth, revitalized and radiant. Premier Ground Nutmeg is the dry powder obtained from the seeds of the Nutmeg, Myristica fragrans. Premier Hibiscus Leaves obtained from the flower petals of the Hibiscus plant, Hibiscus sabdariffa. Hibiscus has its roots in Asia, Africa and temperate parts of Europe. While the flowers are appreciated for their beauty, the dried petals are used to produce a floral flavor to various beverages, especially teas and alcoholic drinks. Hibiscus Bud Powder Micronized BC is the dried powder obtained from the crushed flower petals of the Hibiscus plant, Hibiscus sabdariffa. Himalayan Pink Blush Salt - Fine is made from the salt rock crystals that have been mined from the Himalayan region. Hydrolyzed Pearl Power is the hydrolyzed, water-soluble form of the powder obtained from pearls. Only in the pearl does a unique combination of natural substances and minerals exist which when used topically keep the skin soft, smooth, supple while preventing pigmentation and uneven skin tone. Premier Kelp Powder, Icelandic BC is derived from Icelandic Kelp, Ascophyllum nodosum found in the mineral rich waters around Iceland. Kelp is the common name for multiple species of brown seaweed and has been used as a source of foods, medicines and cosmetics. 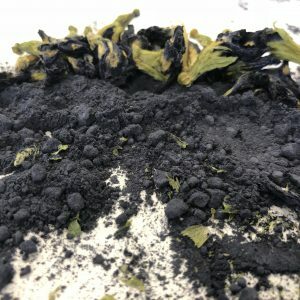 Kale Flakes are a unique exfoliating agent used to soothe skin because of the high levels of Vitamin C. This superfood can be used in a variety of personal care products. Kiwi Seeds are from the Kiwi Plant, Actinidia chinensis. They are an effective and gentle natural exfoliant. 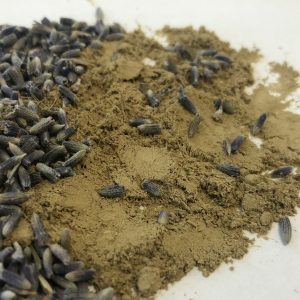 Premier Lavender Bud Powder Micronized BC is the dried, milled flowers of Lavandula Augustifolia with 45-85% retained on 70 mesh, 10- 50% retained on 100 mesh and 2-25% retained on 325 mesh. It is one of the most fragrant of all herbs. Lemon peel is full of essential oil which contains many therapeutic compounds. Premier Lemon Peel Granules is a powder derived from the peel of the lemon, Citrus medica limonum (also referred to as Citrus limon). Lemon peel is full of essential oil which contains many therapeutic compounds. Premier Lemon Peel Powder is a powder derived from the peel of the lemon, Citrus medica limonum (also referred to as Citrus limon). Lime Peel Granules are derived from the lime peel, of the Citrus Aurantifolia (Lime) fruit. In cosmetic applications, the scent of limes gives finished products a clean and refreshing feel. Lime Peel Powder is derived from the lime peel, of the Citrus Aurantifolia (Lime) fruit. In cosmetic applications, the scent of limes gives finished products a clean and refreshing feel. Moringa Leaf Powder has strong anti-inflammatory effects, which make it valuable in anti-aging face and sun care formulations and in creams, lotions, balms, and body oils to protect, heal and moisturize the skin’s epidermal barrier. Citrus aurantium, more commonly known as bitter orange, is a widely cultivated fruit that typically grows in tropical and subtropical regions of the globe. The fruit of this species of orange is prized more for its fragrant orange peel rather than its flesh. Premier Peach Pit Powder is obtained from the dried, ground pits of the Peach, Prunus persica. The powder can also be used as an exfoliant and peeling agent in facial cosmetics and soap formulations. Premier Pearl Powder is the dried powder obtained from pearls. Only in the pearl does a unique combination of natural substances and minerals exist which when used topically keep the skin soft, smooth, supple while preventing pigmentation and uneven skin tone. Premier Pomegranate Powder is obtained through drying and grinding of pomegranate seeds. Organic pomegranate powder is an excellent source of potent antioxidants including flavonoids and polyphenols, which reduce oxidative damage to cells caused by harmful free radicals. Premier Pumice is a substance of volcanic origin consisting chiefly of complex silicates of aluminum and alkali metals. Pumice has been used in skin care for centuries. Pumpkin Flakes are cultivated from the Cucurbita Pepo (Pumpkin) plant and can be used as a natural exfoliant in personal care products. Pumpkin Powder is derived from the Cucurbita Pepo (Pumpkin) plant. It can be used in an emulsion for color, thickening, or exfoliating purposes. Red Raspberry Seeds are obtained from the Rubus Idaeus plant and can be used as a natural, gentle exfoliant. 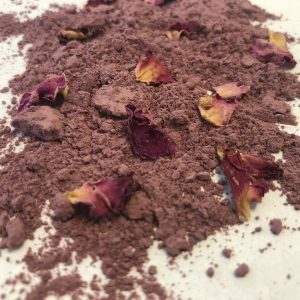 Premier Rose Petal Blend 50/50 Micronized Powder is the dried, milled powder derived from the petals of Rosa Centifolia. The fragrant, astringent petal powder may be used in body powders, facials, facial scrubs, milk baths and soap. Soy Milk Powder contains antioxidants that promote skin health. The Vitamin E content helps renew dead skin cells. Spinach Leaf Powder is an excellent source of Vitamin K, which helps aid in skin smoothing and redness reduction. 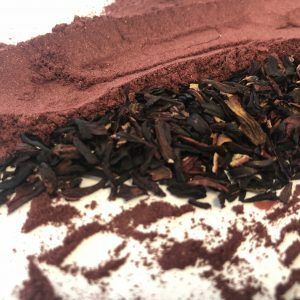 Premier Star Anise BC Powder is the dried powder obtained from the seed pod from the fruit of the Illicium verum plant, an evergreen. Star anise contains a high level of antioxidants. Strawberry Seeds are an excellent natural, gentle exfoliant to replace harsh synthetic beads. The Babassu is a palm native to the Amazon Rainforest region in South America. The starch extracted from the mid-layer, or mesocarp, of the Babassu fruit has long been used in Traditional Medicine in Brazil. It has been used to treat a variety of ailments such as pain, constipation, obesity, leukemia, rheumatism, tumors, and ulcerations. More recently, it has shown to have anti-inflammatory activity. Walnut Shell Powder is obtained from the outer shell of the Juglans Regia (Walnut), and can be used as a mild exfoliant in any emulsion.